Emeco was founded in 1972 and is listed on the Australian Securities Exchange (ASX: EHL). 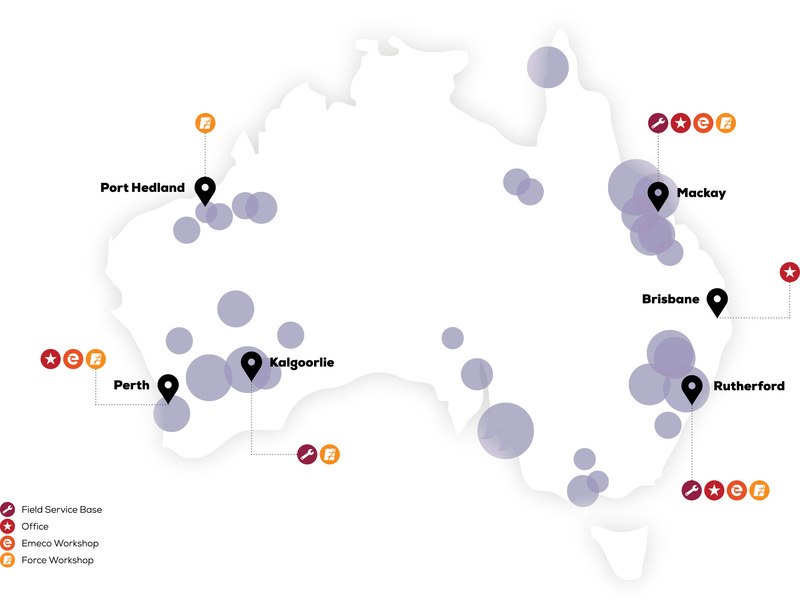 We have operations in all key mining regions of Australia and our customers include mining companies and contractors across coal, gold, copper, bauxite and iron ore. Emeco also owns leading Australian component and machine rebuild company, Force Equipment, and new model ancillary heavy earthmoving equipment rental company, Matilda Equipment. We have close to 1,000 machines in our rental fleet, supported by a network of maintenance and component rebuilding workshops across the country, and powered by our own proprietary asset management and fleet optimisation technology. However, all this means nothing unless you can deliver value for your customers. That’s why what matters to us is helping owner-miners and mining contractors get the most out of every piece of equipment. This means taking the time to truly understand your operation, so we can give you the right fleet solution and show you how best to maximise it. It means harnessing big data analytics and global benchmarking to help you achieve optimal productivity from every machine, and ultimately your entire operation. It means achieving equipment performance and reliability levels that exceed industry norms by having an asset management, maintenance and component rebuild capability that is second to none. Lastly, it means having the trucks, excavators, dozers, loaders and other heavy earthmoving equipment from the leading brands such as Caterpillar, Hitachi, Liebherr and Komatsu, so you too can deliver for your customers.